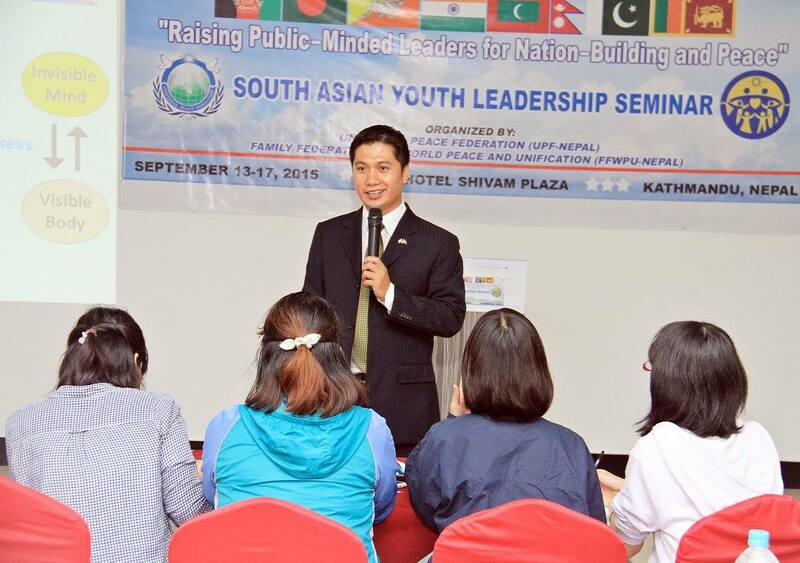 FFWPU Nepal: UPF-Nepal and FFWPU-Nepal hosted the first South Asian Youth Leadership Seminar with 64 student leaders from five nations attending (Bangladesh, Nepal, India, Pakistan and Japan) from September 13 to 17, 2015. At the Opening Session 20 VIPs, including three Nepalese Members of Parliament and a Bangladeshi diplomat, attended. 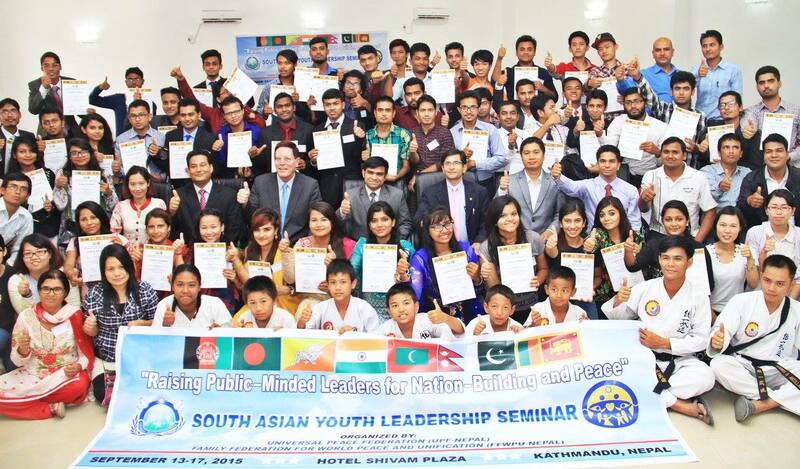 The theme was, “Raising Public-minded Leaders for Nation-building and Peace.” Most of the participants were post-graduate students, two had recently graduated and just started their careers in international banking and conflict resolution. 20 VIPs attended the Opening Session; including three current Members of Parliament and a Bangladeshi diplomat based in Kathmandu. This was a 5-day Divide Principle education seminar (including arrivals and departures). 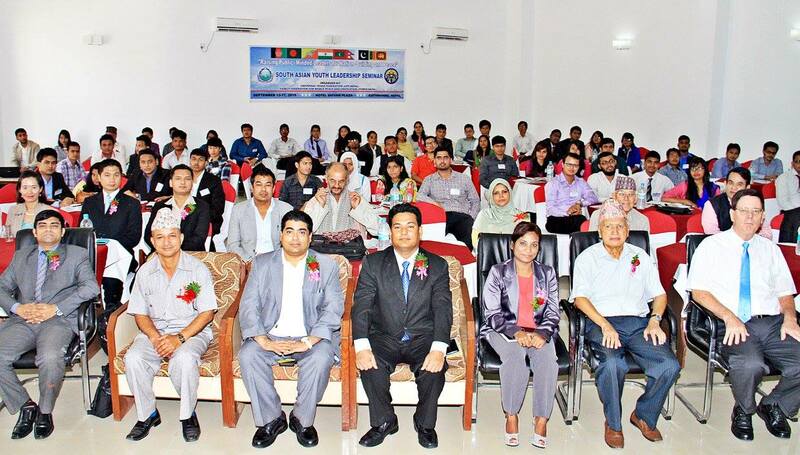 There were 64 participants from five South Asian nations: Bangladesh – 31; Nepal – 26; India – 2; Pakistan – 1; and Japan – 4. There were 43 men and 21 women attending. It was facilitated by two diplomatic missions: Bangladesh and Pakistan. Participants eagerly and happily took the Pure Love Pledge. Based on the trust and friendship created by understanding our True Parents’ Principles of Peace, two South Asia Peace Initiatives (SAPI) programs are now being planned — one for Pakistan and one for Bangladesh. Ganga Sedhain, Nepal: In the beginning I thought that this is a small program. But I am highly impressed and learned that human should be good educated to be good hearted. We should maintain good relationships with family and all human endeavors. Sayeeda Birle Asad, Bangladesh: I learned many things through this conference. I have developed my concept and idea about true love and marriage. I will bring this massage to my family, friends and country. MD Shahadat Hossine, Bangaladesh: From this workshop we have learned that sacrifice should be done for the sake of other’s happiness. … every individuals has to have respect for all religions. 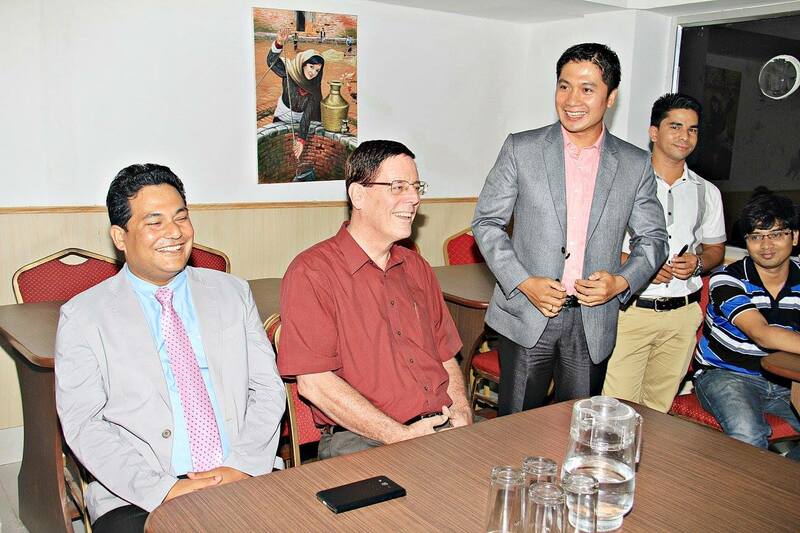 Darshan Parajuli, Nepal: I am really passionate about learning these kind of issues in the coming days as well. Angila Ghising, Nepal: Love and relationships are something very important that make the base of healthy marriages and families. The way our parents sacrificed everything for us not expecting any return, we must do that also. This kind of true love never bring chaos, separation, and problems in family and relationships. Narayan Dhungana, Nepa: The quotations of different religions that spoke about peace wasa great experience to me. I am impressed with Hon. Dhakal’s words of brotherhood in different countries.